Love holidays, hate flying. That’s me. And it’s not just the fear of flying, cramped spaces or sitting next to strangers with over familiar elbows. It also plays havoc with my skin. This time of year millions of us are preparing to embrace the long and short-haul but our bodies are yet to evolve to life at 35,000 feet. Even the short journey’s can leave us achy, bloated, parched and bloodshot! These tips will help you combat the side effects of flying and hopefully disembark at the other end looking refreshed. You’re sitting in an aluminium tube, thousands of feet in the air with no oxygen, the last thing your face needs is to be masked in make up. I know it’s difficult... we have this romanticised image of jetting off on holiday looking like a celeb. Last year when I went to New York it was actually the first time I obeyed this rule and I really noticed the difference. If you like to wear make up to the airport (or paint your face in duty free like me) that’s fine, as long as you TAKE IT OFF as soon as you TAKE OFF. 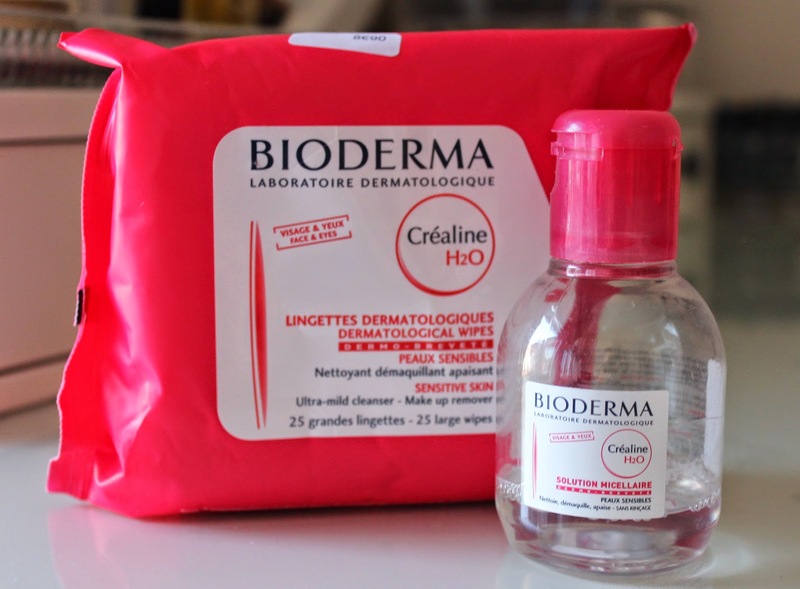 Try Bioderma Crealine H20 to gently remove make up or pack some wipes. This is a given! But moisturising before you fly isn’t enough, as your skin loses moisture you need to replenish it throughout the flight. Lisa Eldridge recommends applying layers of mosituriser and/or serums throughout the flight. 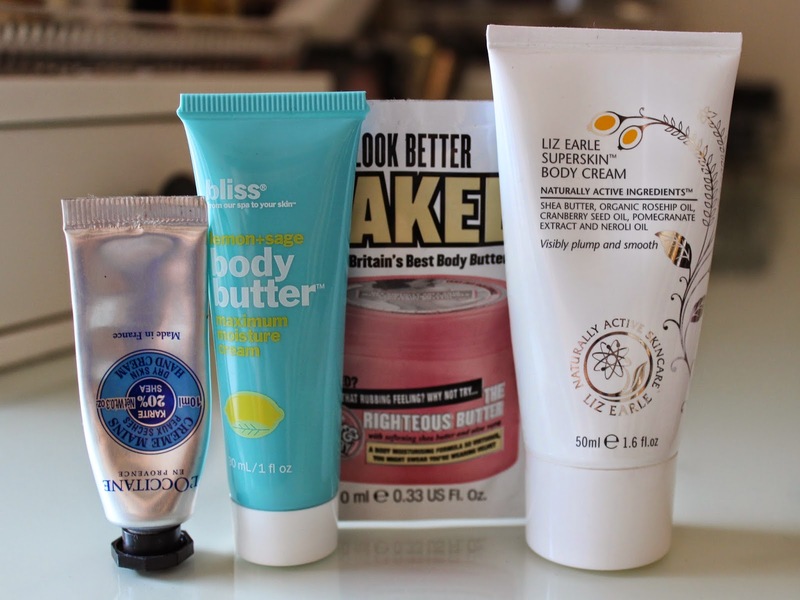 Something rich like Liz Earle Superskin Moisturiser or Steamcream would be my weapon of choice. Obviously! Drink as much as you can and stay off the booze and caffeine, they dry the skin and lead to bloating (killjoy I know). It seems the World has gone face spritz mad, but this is when they really come in handy. Water spritzers packed with skin loving goodies help to replenish moisture, soothe the skin and generally make us feel refreshed. Caudalie Beauty Elixir is divine! It awakens the skin and gives a burst of radiance. For a purse friendly alternative try Anatomicals Spray Misty for Me with lavender, aloe and witch hazel. Spray the face and neck every hour or so to keep your moisture topped up. They call it the red eye for a reason. The nasty cabin air zaps the moisture from your eyes until they’re bone-dry, red and itchy. Top up the moisture with eye drops and combat puffiness with an eye cream or roller ball like Garnier Caffine Eye Roll On. I know, I said take it off, but there’s nothing wrong with putting it back on just before you land. Especially if you’re long haul t i– that’s still 7 hours breathing time. 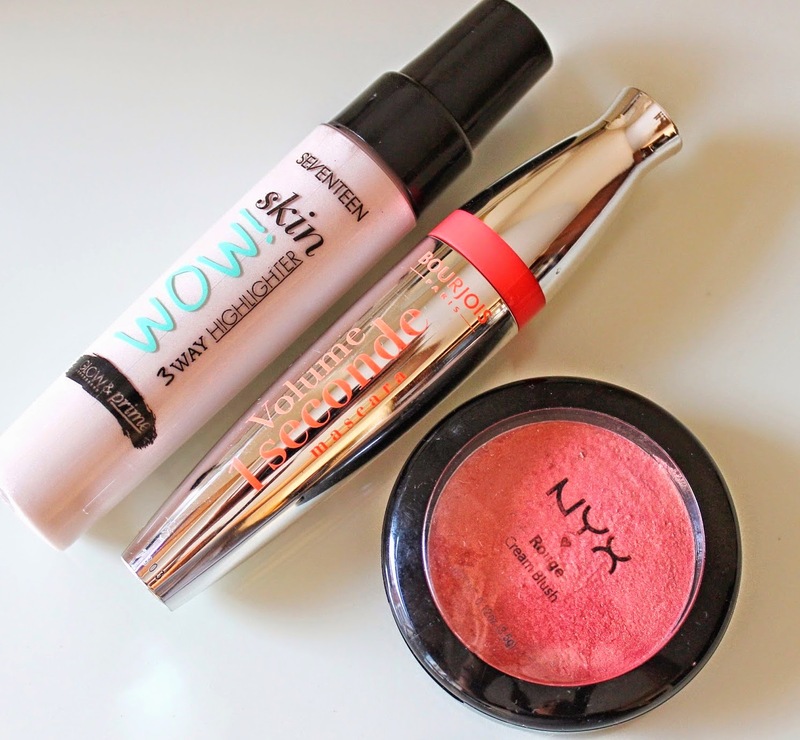 Cheat freshness with a dab of cream blush, a sweep of mascara and touch of highlighter. It gives you something to do as the flight descends and you’ll disembark looking fresher than you boarded. Hi Claire, fabulous in flight tips! I really need to take a face spritzer next time. I usually have some Simple wipes but those seriously dry out my skin. 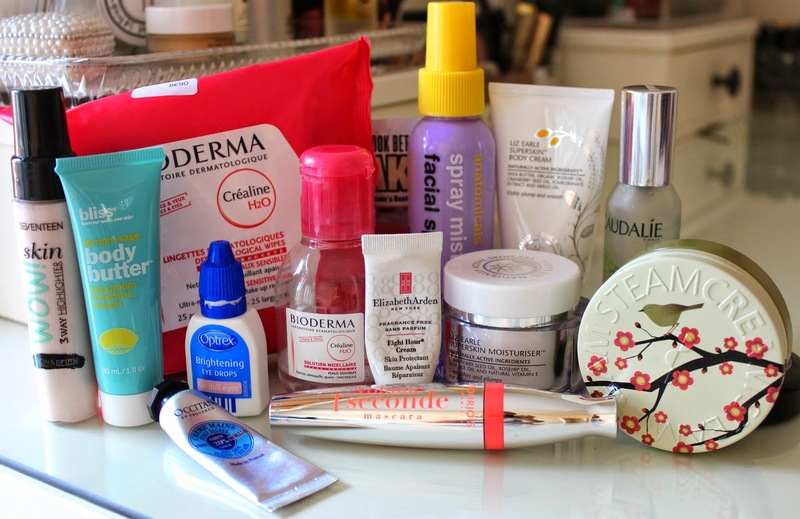 I think Bioderma is on my list of must buy! Great post. 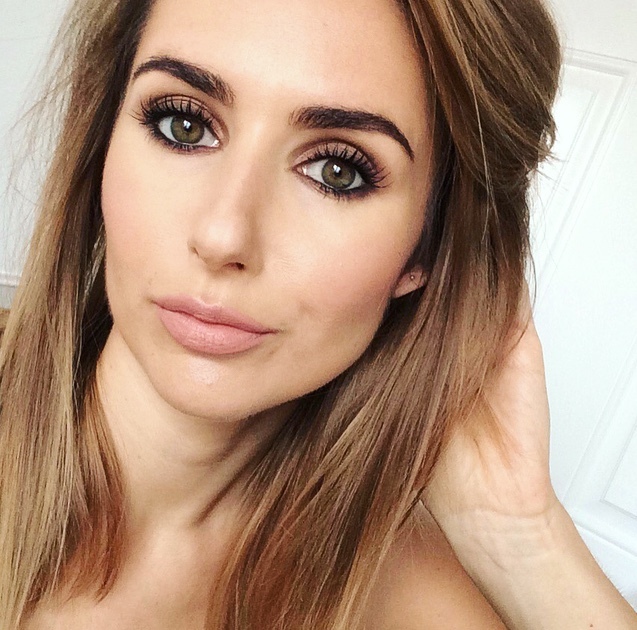 Must try that Bourjois mascara!